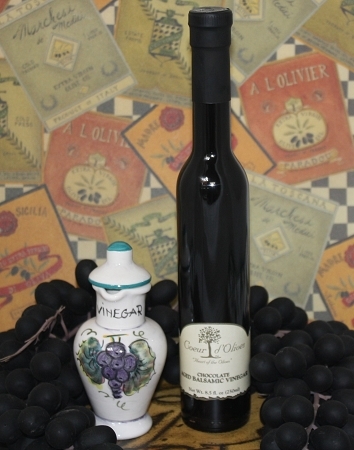 An Aged balsamic from Modena, Italy. We use our Traditional 18+ Year Aged Balsamic as a base and blend it with chocolate to create this amazing chocolate syrup substitute. The chocolate aroma and taste is strong and the aged balsamic vinegar gives it a sweet and rich flavor. Perfect for whatever you want to add chocolate to, especially on French Vanilla Ice Cream.